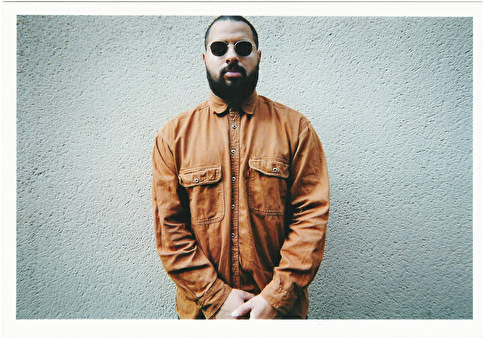 Low Jack has released Flashes on french label In Paradisum. A follow-up to the success of Slow dance (Get The Curse Music, reached #1 of Clone.nl vinyl sales), Free Pyjamas (Delsin House Series) and Like It Soft, a collaborative effort with Qoso (In Paradisum), which brought recognition from people in the techno, house and dubstep scenes, such as Ron Morelli, Bill Kouligas, Untold, Skudge, Surgeon, Norman Nodge, Perc, etc. With his predatory rhythms and hallucinogenic synths, Parisian producer Low Jack, 28 years-old, has developed a one-of-a-kind sound, a kind of "house music from hell", as some already like to call it. Confronting industrial atmosphere with the sexual drive of house is another way to say it, as proves his recent remix for Ricardo Tobar on Desire Records. Flashes is probably his most daring release to date. Even if it includes Your Soul, a charming, meditative jam on the synthesizer, the EP is mostly exploring analogs sounds in a way that is stormy and psychedelic. Next step will be a 3-track EP for L.A. Club Resource, the label just launched by Delroy Edwards. The ambivalence between shaking music for the dancefloors, and pieces focused more on experimentation and emotion, will probably continue to mark Low Jack progression. He is now working on his first long-player.